For my first of the two crochet projects, I selected interlocking crochet technique, as described in Tanis Galik’s book. 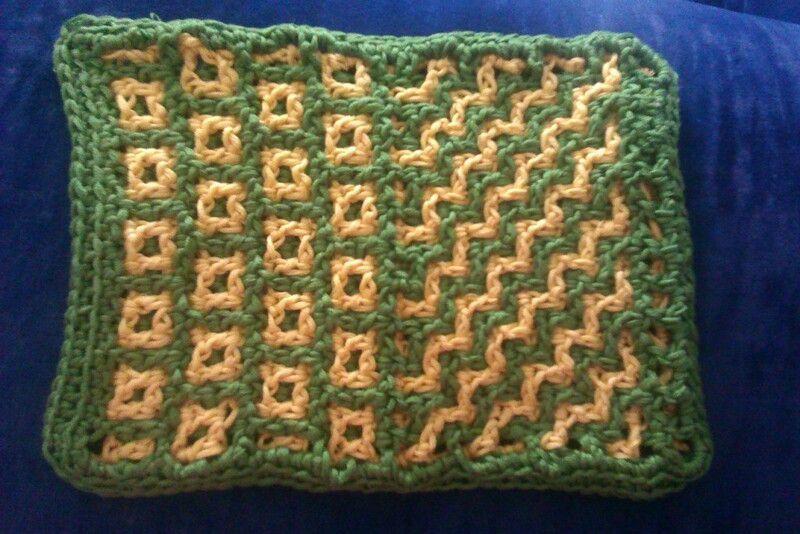 In the beginning, I chose Moorish Lattice pattern, and it totally didn’t work out. Now as I was looking for a link for this post, I looked up errata – and it’s there! So it wasn’t me being totally stupid. As the first attempt didn’t work out, I went for two easier patterns, and they both look great! 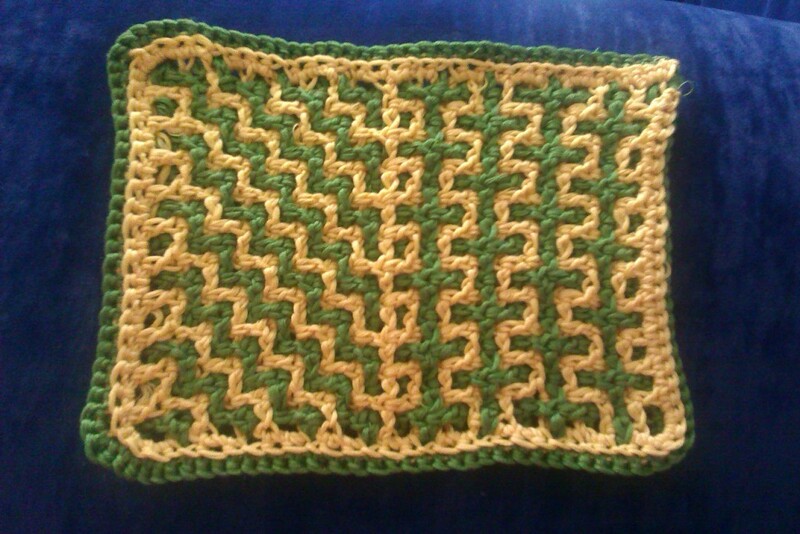 I hope to use this technique again soon – it’d be great for cosies for mobile phones, tablets, notebooks, also for rugs, potholder etc. Love it! Separator image Posted in My kniting & crochet and tagged with interlocking crochet, ravellenic games, trying new stuff. Unfortunately page 67 in Interlocking Crochet is a duplicate of a previous page; therefore it’s not the same design. For any corrections check out http://www.InterlockingCrochet.com book corrections for any updates.